Second encounter from the bilateral exchange between Portugal and the Netherlands on the topic of Cultural Influence(S). This one takes place in Rotterdam with a more contemporary approach than the first one. 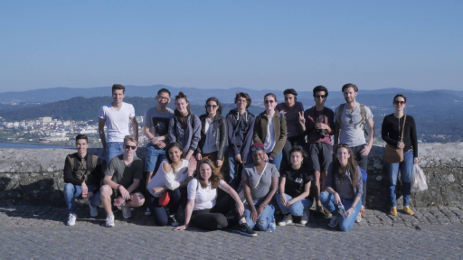 The dutch group develops subjects on their connection to the cultural influences of the colonial past legacy in contemporary Netherlands. For this stage of the bilateral exchange, portuguese particpants will team up with the dutch working groups and realise common movies during a five-day workshop. After the shooting phase, the dutch participants accompany the editor in the editing film process. This way the post-production phase respect the aesthetical and formal intentions of the particpants involved.